Much like last year, the LAMB Movie of the Month for January lucked out to be a sci-fi film, which is great since we're celebrating Escape-athon all month long. Said movie deals with time travel, vaguely defined perpetual motion technology, and badass futuristic zeppelins! Unfortunately, the movie is 2006's Southland Tales. Elwood - the movie's champion - joined Jay and me for a discussion about Richard Kelly's follow up to Donnie Darko, one of my all time favorite sci-fi films. Dylan and Todd joined us for the ride. The episode's below, along with some notes. "Let's dry our tears and face our fears." We talked about the comics that Richard Kelly produced as prequels for this flick (as if the movie itself wasn't enough) - you can still buy them on Amazon. Elwood talked about the theory that the flick's based on the Old Testament (or The Book of Revelation? I can't remember what we said on the podcast). If you're interested in that, it's apparently very true. Read this in-depth Salon article if you're up for it. It's pretty interesting (it actually kinda made me appreciate the film a little more...). Here's that Back to the Future poll...vote! C'mon! And you can head here to submit some LAMBcast topics. Thanks, guys! The Salon article you posted explains the Old Testament theory, which just one of the many ways to look at this film, though as we kinda proved on this show, if you hate it you really hate it. "The Book of Revelation is the last book in the New Testament. It foretells the end of the world and the Second Coming of Christ (Pilot Abilene keeps reading it on the soundtrack). Kelly has said in interviews that the film was partially made in response to the rise of apocalyptic evangelism in the United States. 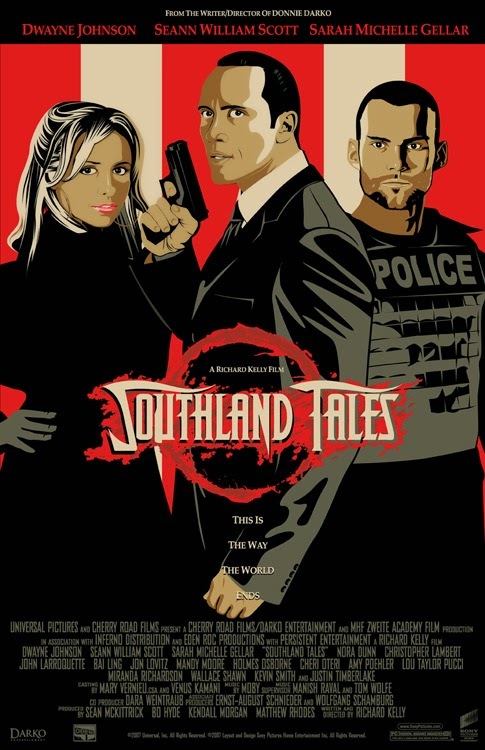 For “Southland Tales,” he loosely adapted the plot of the Book of Revelation and set it in an alternate version of the present day. In the future, the world will be a miserable place filled with war, famine and disease. Eventually, the Antichrist will show up and take over the world. Among his accomplices will be a “false prophet” — a deceitful ruler. The false prophet and the Antichrist will create a dominating world system. Then, two “witnesses” will appear. They will start speaking out against the Antichrist and begin overthrowing the evil empire. Lots of scary apocalyptic stuff will happen (judgment, plagues and the like), before Jesus Christ will ride in on a white horse and establish the new kingdom of God. Although it’s part of a different section in the book, Revelation also refers to the Whore of Babylon — dressed in scarlet and covered in gold — as a symbol of Babylon’s corruption. 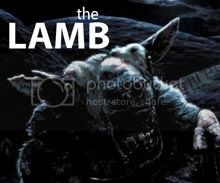 If “Southland Tales” is a semi-straightforward reinterpretation of the Book of Revelation, then Baron Von Westphalen is the Antichrist, Sen. Bobby Frost is probably his false prophet, Krysta Now is the Whore of Babylon, the two witnesses are probably Boxer Santaros and Roland Taverner, the white horse is the levitating ice cream truck, and Christ is Ronald and Roland Taverner. Background newscasts in “Southland Tales” are also constantly referring to earthquakes, wild fires and “red tides.” These are all references to the seven plagues that precede the destruction of Babylon. So the parallels with the Bible are kind of buried. But they’re in there"